Companies that depend on federal funding (e.g. healthcare, government contractors and university researchers) face significant risks for False Claims Act prosecutions. Relying on pro-government False Claims Act statutes, potential whistleblowers can earn enormous judgments by filing private actions under seal, and seeking federal government intervention in the matter, to prosecute False Claims Act violations. In those cases where the federal government agrees to intervene, the federal government almost always wins the case or reaches a favorable settlement. In two recent examples, DOJ collected $112.5 million from Duke University for False Claims Act violations related to scientific research misconduct, and $35 Million from MedStar Health for illegal kickbacks to a cardiology group in exchange for patient referrals. In the Duke University case, DOJ brought a False Claims Act action based on issued raised by a whistleblower. Specifically, DOJ alleged that from 2006 to 2018, Duke submitted grant applications and progress reports that contained falsified research on federal grants to the National Institutes of Health (NIH) and the Environmental Protection Agency(EPA). The whistleblower received a recovery of $33.7 million. The government alleged that Duke submitted false or fabricated data or statements to the NIH and EPA involving thirty (3) grants, cuasing NIH and EPA to pay out grant funds. The false research data and statements related to certain research involving mice conducted by a Duke research technician in its Airway Physiology Laboratory. 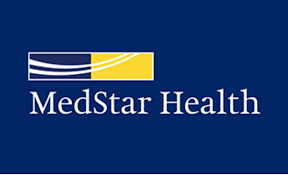 In the MedStar Health case, MedStar agreed to pay $35 million to settle allegations that MedStar paid kickbacks to MidAtlantic Cardiovascular Associates (MACVA), a cardiology group based in Maryland, in exchange for referrals through a series of professional services contracts at two Baltimore hospitals. The MedStar settlement focused on two distinct schemes: first, during the period 2006 to 2011, MACVA was paid kickbacks under the guise of a professional services contract in return for patient referral for lucrative cardiovascular procedures, including cardiac surgery and interventional cardiology procedures; and second, from 2006 to 2012, Medicare payments were received by MedStar for medically unnecessary stents performed by a onetime employee of MACVA who was later employed by MedStar. The MedStar matter was initiated by three whistleblowers who were members of Cardiac Surgery Associates in Baltimore, and in the second matter, by former patients who received heart stents from a heart surgeon and alleged that the surgeon and one of the Baltimore hospitals engaged in a pattern and practice of performing medically unnecessary stent placement procedures. Under the settlements announced by DOJ, the whistleblowers received an undisclosed portion of the federal share of recovery.